Dr Pinkesh obtained his M.S (General Surgery) from B. J. Medical College, Ahmedabad, India in 2004. He then underwent PGDHHM from Symbiosis Centre for Health care, Pune, India in 2011. 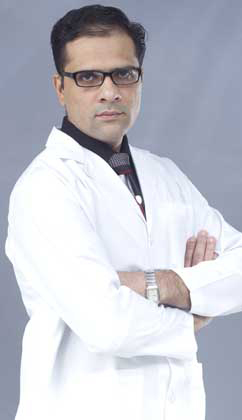 Beside this Dr Pinkesh has attended several courses, workshops and conferences across the globe. Dr Pinkesh has more than 8 years of Post M.S work experience and over 3 years in surgical gastroenterology. Dr Pinkesh has performed more than 250 cholecystectomy, 350 appendectomy and 30 hernia repair laparoscopically. He also has performed more than 400 GI scopy and about 100 lower GI scopy. Dr Pinkesh can speak English, Hindi and Gujarati.